Cell, nucleus, smooth endoplasmic reticulum, rough endoplasmic reticulum, ribosomes, mitochondria, Golgi apparatus, lysosomes, cell wall. 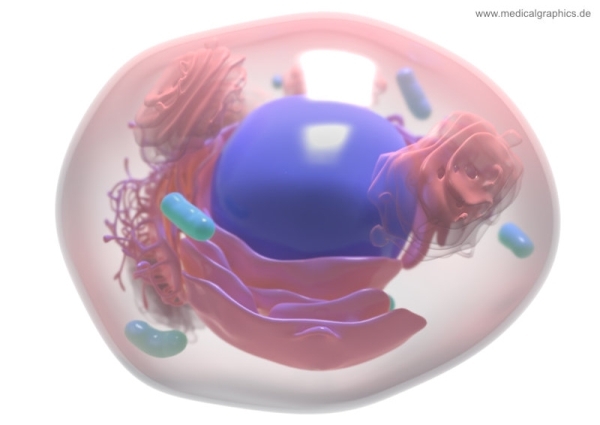 Medical illustration of a human cell on white background. Shown structures: nucleus, smooth and rough endoplasmic reticulum, ribosomes, mitochondria, Golgi apparatus, lysosomes and cell wall.